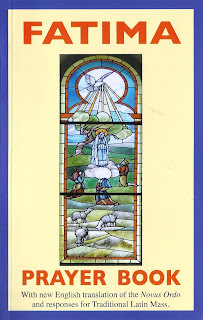 Now that we are moving towards the centenary of the Fatima apparitions I was delighted to receive from our friend and collaborator, Leo Madigan, the most recent edition (the eighth) of his Fatima PrayerBook. 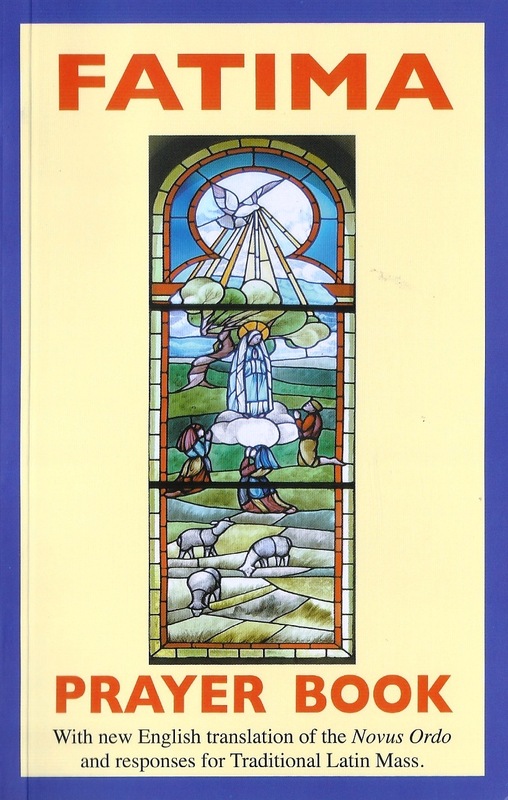 This writer, to whom the spreading of the message of Fatima has been much indebted for years, has in the past also sent us his The Fatima Guide, as well, of course, as his Blessed Alexandrina da Costa:The Mystical Martyr of Fatima, all issued by Ophel Books. Jesus once said to Blessed Alexandrina: "Only she can help it", in this context meaning: Only the Mother of God is able to help the world. This western world has gone mad, refusing God and proudly promoting practices that are directly opposed to Christian tradition, and it urgently needs to turn to Her in penance and prayer. The Fatima Prayer Book is a vade mecum for the pilgrim who comes to the Cova de Iria: it contains many of the prayers common to our Faith along with others specifically inspired by Fatima. Noteworthy is this statement from Pope Benedict XVI on page 7: "The Marian apparitions at Fatima, with their urgent call to conversion and penance, are undoubtedly the most prophetic of modern apparitions." But without prayer there is no conversion or repentance. The graphical execution of the book is excellent, as is the selection of illustrations.